Heat frying pan and place cooking oil. 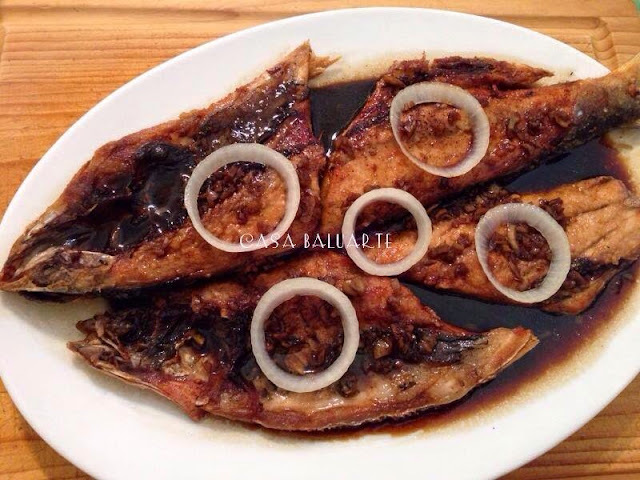 Once cooking oil is fully hot reduce the heat to medium and start frying the fish till golden brown. Mix soy sauce, vinegar, sugar and ground pepper. Taste test for desired salty sour sweetness and set aside. Using a clean frying pan add 2 tablespoon of cooking oil. Quickly fry the onions and set aside. Now brown the garlic then add the soy sauce vinegar mixture. Simmer sauce in medium low heat for few minutes. 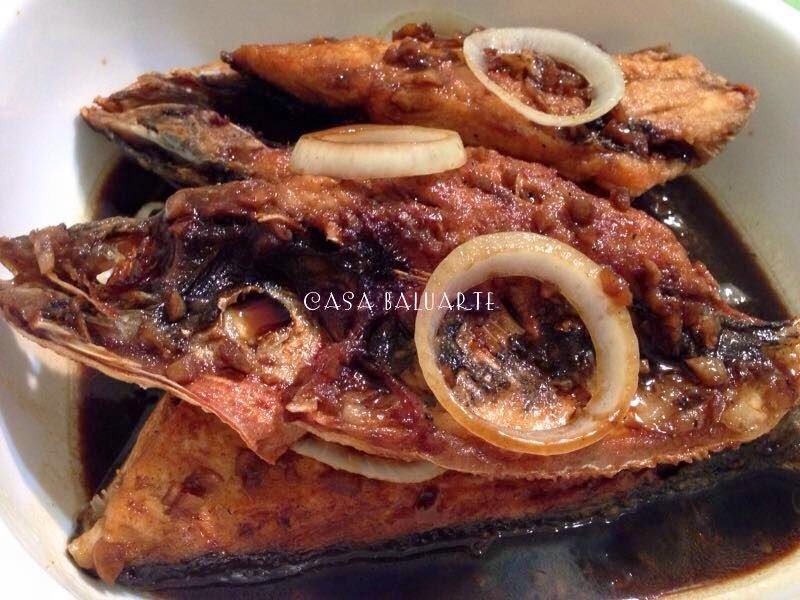 Place the fried fish in the sauce. Arrange the fish then the sauce in a serving dish. Top with slices of onion and serve hot.